Propulsion Analytics was once again present as a sponsor at the 2018 SMART4SEA Conference, held on the 31st of January at Stavros Niarchos Foundation Cultural Center. Dr. Panos Theodossopoulos, CEO of Propulsion Analytics, talked about the application of machine learning techniques for energy efficiency, fault diagnostics and predictive maintenance in vessel/engine performance monitoring. Machine learning, already widely spread in numerous areas of digital life, the financial sector and science, is also finding its way into industrial and shipping applications. The speaker emphasized that machine learning should always go hand in hand with core engineering principles and human expertise in order to bring out optimum value and he also presented two areas in which Propulsion Analytics has applied machine learning, namely vessel Main Engine fault diagnostics and predictive maintenance. 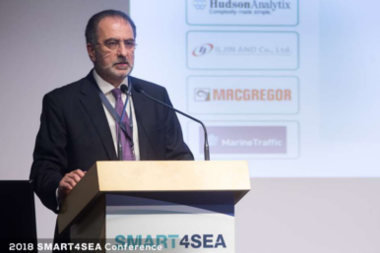 Moreover, Propulsion Analytics sponsored the 2018 SMART4SEA Connectivity Award. 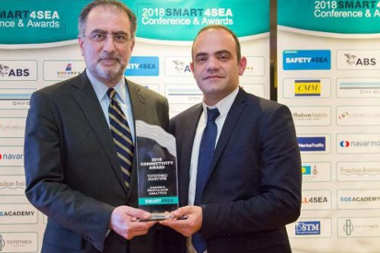 Panos Theodossopoulos presented the winner, Tototheo Maritime, and handed the award to Mr. Constantinos Spyrou, Chief Commercial Officer of Tototheo Maritime.